Send YOUR Demo To KRS-ONE's apprentice for review. The BEST demo submitted during this will be POSTED on THIS site for 30 days beginning the 1st of next month! Very few emcees in hip-hop history have had the privilege of sharing the mic with Blastmaster KRS-ONE. Greenie is one of a select few who has spent many hours working with KRS in studios, on stage, and beyond. In that time, he's been taught the secrets of what it "really takes" to earn respect as a true emcee... and he's now sharing that info with artists from around the world who are working hard to make it to the top. 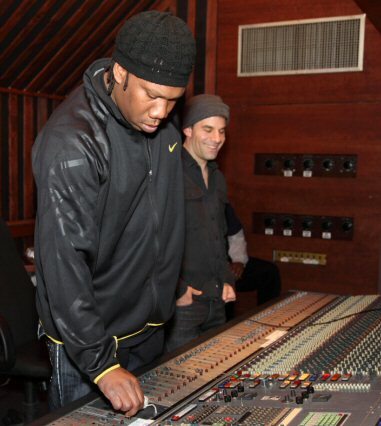 Click here to send your demo and/or lyrics to KRS-ONE's apprentice via YOUR CHOICE of direct online link OR via hard copy by mail and he'll have it thoroughly reviewed, analyzed, and critiqued with suggestions for improvement within 3 days or less. If you're serious about becoming a recording artist, you can't afford NOT to have someone like Greenie review and critique your demo today. All good demos are eligible to receive a "Reviewed & Certified by KRS-ONE's apprentice seal you can put on your website and/or use in your press kit/record label submissions!"